The combination of great songwriting and great singing causes a chemical reaction in the brain–not that lightbulb, ah-ha kind of moment, but a subtle click that causes an ensuing tsunami of emotion and harmony that works so well together, you can’t quite explain the magic. 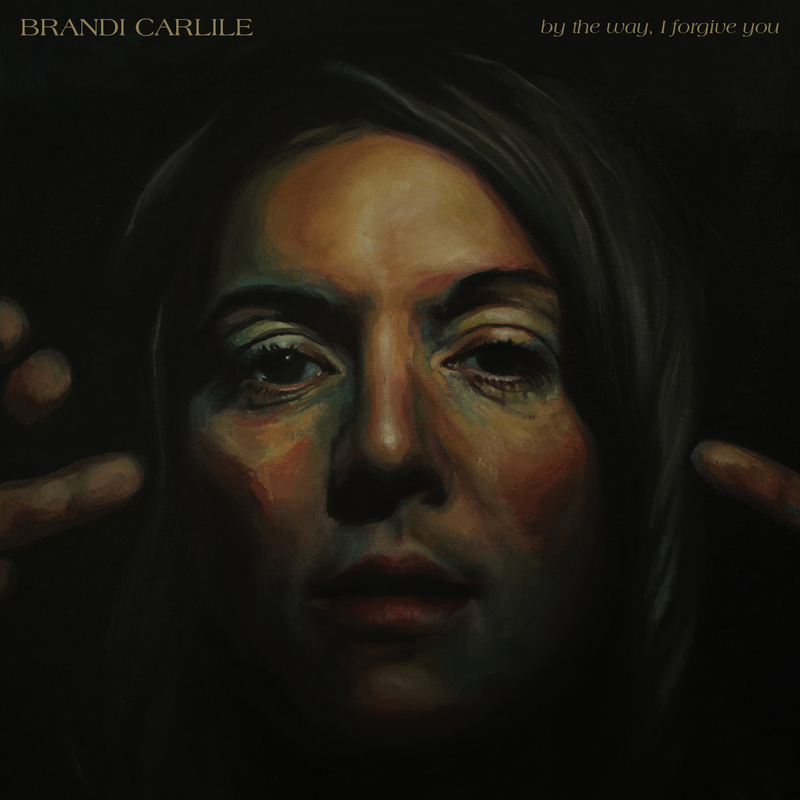 I have felt that way about Brandi Carlile’s music for a long time, but her newest–and sixth–release, By the Way, I Forgive You, transcends all that came before. She has reached outside of herself this time, and instead of reaching for the stars she has encapsulated them and made part of her universe. Her voice runs rapidly but not frantically through this album, from sweet and lilting to strained, breaking in just the right moments to emphasize her emotion; the control is undeniable yet emboldened enough to make your heart ache along with hers. Album opener “Every Time I Hear That Song,” inspires bittersweet reminiscence of love past – “By the way, I forgive you/after all maybe I should thank you.” She moves with ease into “The Joke,” a song which settles in the very core, speaking to so many happenings in society at this moment; her shaking vibrato strains in the emotion of it all, an unbelievably powerful blend. The mood lifts with the pounding, driving guitar of “Hold Out Your Hand,” and into the quick, easy flow of “The Mother,” a tale of motherhood, and the changes it brings. Carlile is a brilliantly engaging storyteller, and this album would be hard pressed to be kept as background music. Her deft placement of words to create mental pictures of life’s snapshots demands to be consumed, savored, and pondered. The arrangements and interchange of sparse and lush and instrumentation create a poignant sonic landscape poised to emphasize her voice, and, simply put, it just works.